Ideal for collectors, researchers, and historians. Unlock the most definitive resource of its kind. Is that postmark from a DPO? Stay up-to-date with the most accurate post office information available. The United States Postal Service no longer publishes nationwide listings of its facilities. News about post office openings and closings can be notoriously sporadic and difficult to come by, especially with so many changes underway. 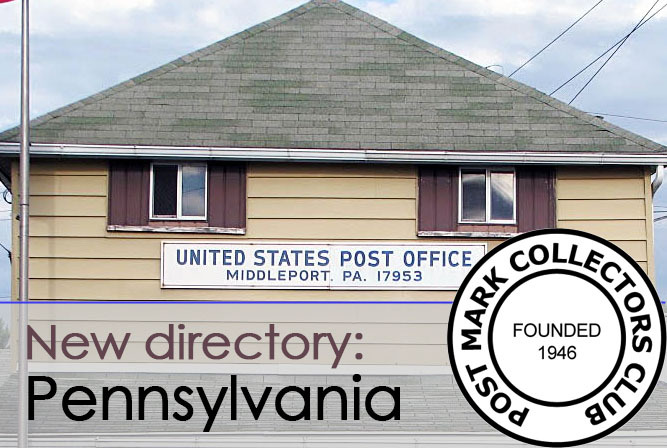 The Post Mark Collectors Club's vaunted Post Office Directory is a service offered to help individuals maintain and complete their state or county collections. The Directory includes up-to-date, accurate information for all U.S. states and territories, as well as for U.S. Navy and Coast Guard ships. The Directory consists of 53 separate listings in all. Information for each state is compiled by a veteran State Director. The operation is overseen by PMCC member Kent Bickell. While the PMCC cannot assure complete accuracy, our information is cross-referenced among multiple sources—official and otherwise. State listings are updated regularly. The Post Office Directory is utilized by numerous libraries, researchers, and philatelic organizations—and even, at times, USPS itself! It is particularly handy as a guide against which to cross-reference your postmark collection for completeness. Note: Two lists for each state are available: ALPHA lists are all-inclusive, with stations, branches, and CPUs listed both alphabetically and with their parent office [see sidebar]. COUNTY supplements are also available for each state. Can I see for myself, first? Absolutely! Here's the post office listing for Indiana from 2012 (since revised). Alphabetical listing of post offices, branches, stations, CPUs, carrier annexes, and processing facilities—with many types of facilities cross-referenced. All Post Office directory listings may be ordered as a digital download or as a printed list delivered by mail. All state lists are available for individual ordering, though many new collectors opt for the complete (53-listing) Post Office Directory. Physical full-Directory shipments come complete with binder. The full Directory is also available as a computer-readable CD. Option 1. I want it all! Please send me the whole Directory. 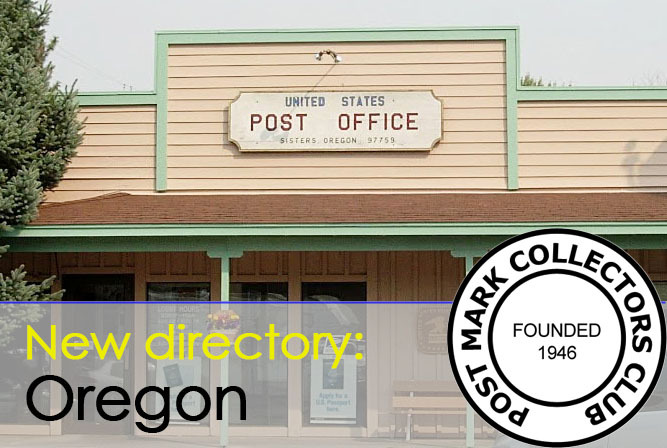 Includes all 53 post office listings, plus all county list supplements. 2a. With your PayPal payment, include a note specifying "directory order". Option 2. I prefer to focus on particular states, thank you! Order individual ALPHA and/or COUNTY state listings, à la carte, using our spreadsheet order form. The form will automatically calculate the total and, if applicable, the shipping cost, for your order. Using this responsive Excel spreadsheet (.xls) [click here], specify the lists you'd like to order. 1. Are you a PMCC member? 2. Are you ordering lists as (a) digital downloads, or (b) physical (printed / mailed) lists? 2a. With your PayPal payment, include a note specifying your directory order. Get news on post office changes even faster! Members find out first! The PMCC's monthly Bulletin documents the most recent post office changes and closings from all across the country. The Bulletin also highlights our newest Directory listings. California and Texas are the states with the greatest population, but New York and Pennsylvania have well more post offices than any other states. 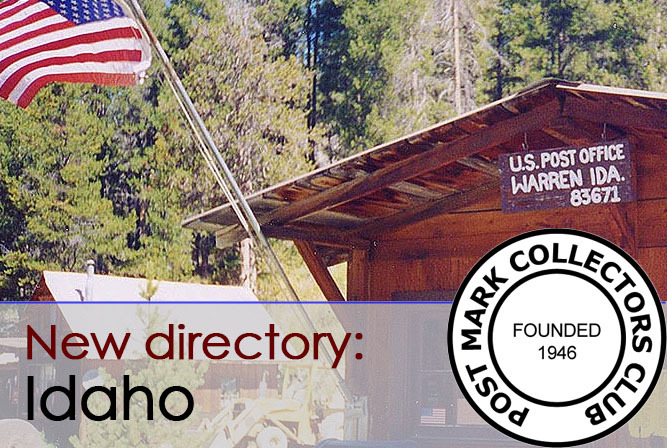 → Most importantly, the PMCC Post Office Directory's got 'em all!